A fast-stepping groover with a mighty warm sound – the kind of cut that moves quickly enough for the dancefloor, but also has the richness of a mellower song – thanks to just the right sort of arrangements! 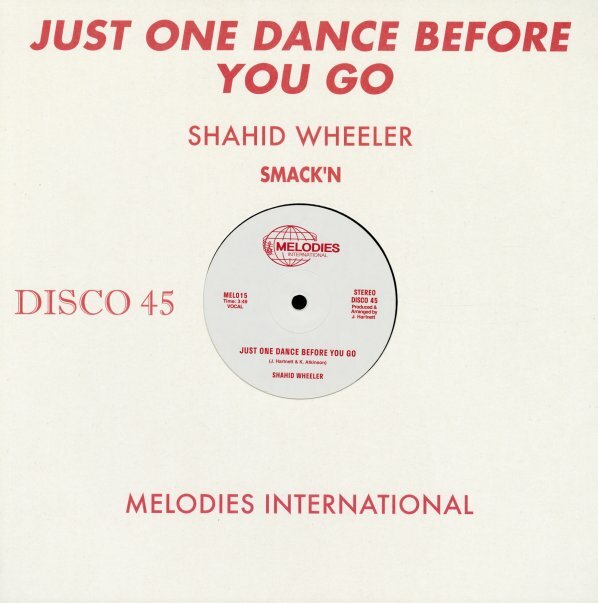 Shahid Wheeler has this heartbreaking falsetto that's an unusual mix for the groove – but which also helps to further the sense of personality in the track – and the instrumental mix on the flipside lets you hear all the great interplay between the musicians in the group! © 1996-2019, Dusty Groove, Inc.